There are many seniors who continue to drive well into their golden years. Whether they drive just to the market or to church, or spend most days in the car, senior driver safety is of the utmost importance. This is a delicate topic for many seniors and for their caregivers, and while some caregivers may prefer if their loved one wasn’t driving, it doesn’t mean that there aren’t things that they can do in order to keep their loved one safe when they are behind a wheel. Here are some of the best driver safety tips for any senior driver and the caregivers that want to keep them safe. Make sure the car itself is safe. This is one of the first and most important things that your loved one is operating a vehicle that is up-to-date on all maintenance and safety checks. Go with your loved one when they drive from time-to-time, the best way to determine if they are able to drive on their own is to see their driving skills for yourself. Take your loved one to have their vision checked every one to two years, if they need visual aids such as glasses or contacts, do your best to make sure that they are wearing them. Look for signs that your loved one has had issues with driving, and follow up with them. This can include unexplained dents in the car or in their garage. Follow up on any pain or stiffness your loved one may be feelings and make sure it is addressed. 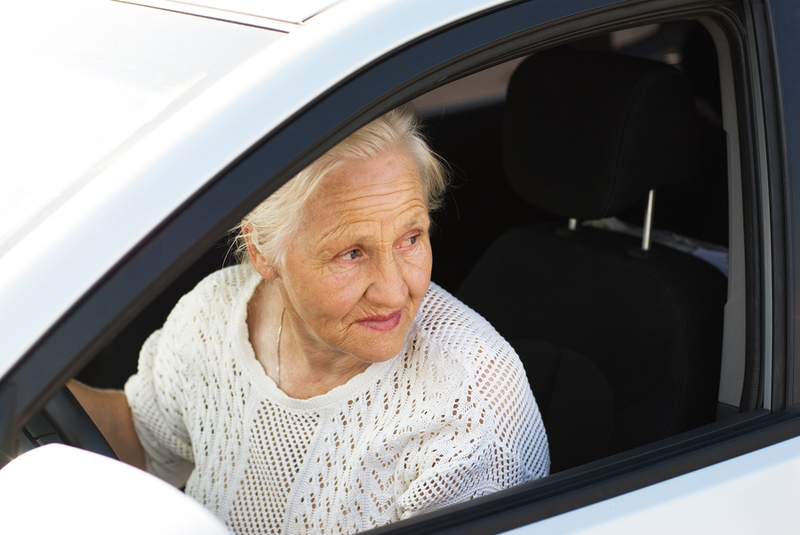 Neck and back pain can make it difficult for seniors to drive or check their blind spots, while leg pain can make it difficult to operate the pedals. Help seniors get plenty of rest every night. One of the worst things any person can do is to get behind the wheel when they are overly tired. Put a phone in your loved one’s car, so they always have a way to reach you or another loved one should there be an emergency. In situations where there may be extensive traffic or weather issues, offer an alternative to your senior driving by organizing other means of transportation. Take your loved one in for regular hearing exams, to make sure that they can hear properly before driving, this can be a major risk. Always stay up-to-date with a senior’s prescription medications, there are plenty of medications that can render any senior unfit to drive. Since many seniors are on multiple medications with their prescriptions changing regularly, the more up-to-date you are, the better. There are many home caregivers that struggle with the responsibility of helping their senior loved one with driving. It can be difficult when you are worried about your loved one’s safety behind the wheel. However, being diligent in deciding when is the right time to take away the keys and keeping these safety practices in mind can go a long way in helping everyone stay safe and comfortable with this situation.